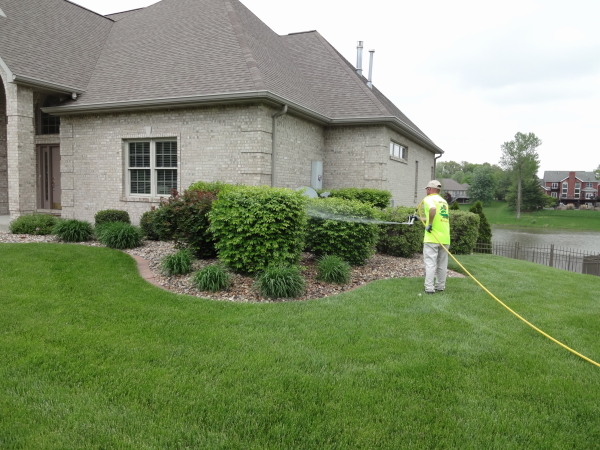 Insecticides and fungicides are necessary to extend the life of ornamental trees and shrubs. Insecticides will fight the battle against the pest population that wants to eat the plant, while fungicides defend against disease causing fungi. The two forms of these treatments offer continuous care for the plant by killing what is already present and protecting against any future problems. In addition insecticides and fungicides are designed either as a contact or systemic mode of action. A contact insecticides does exactly as it is named, it kills on contact. The pest does not have to ingest the insecticide to be terminated. This is usually applied to ornamental trees and shrubs as a spray, once the spray touches the insect it is only a matter of time before it will die. Like a contact insecticide, a contact fungicide will fight the fungus upon contact. Fungi spread disease and infection throughout the plant, and must be sprayed with a fungicide to prevent further outbreaks. A systemic insecticide is typically used to treat for insects on a long term basis. The systemic is absorbed into the plant then when the insect feeds on the plant the insecticide is ingested which kills the insect pest. Systemic insecticides will also move throughout the plant tissue which protects new plant growth. This is very important to active growing plants and bushes. A systemic fungicide acts as a barrier to prevent future fungus and disease. A systemic is absorbed through the leaves and moves freely within the plant protecting against future fungi infection. Insecticides and fungicides are designed as either contact or systemic and programs for caring for trees and shrubs generally will have a combination of both modes of action. Research is the key for each particular plant being worked with. Lawn care services, tree service companies and nurseries are excellent resources to ask questions and get recommendations from.